These puppies were a huge hit with Fletch. 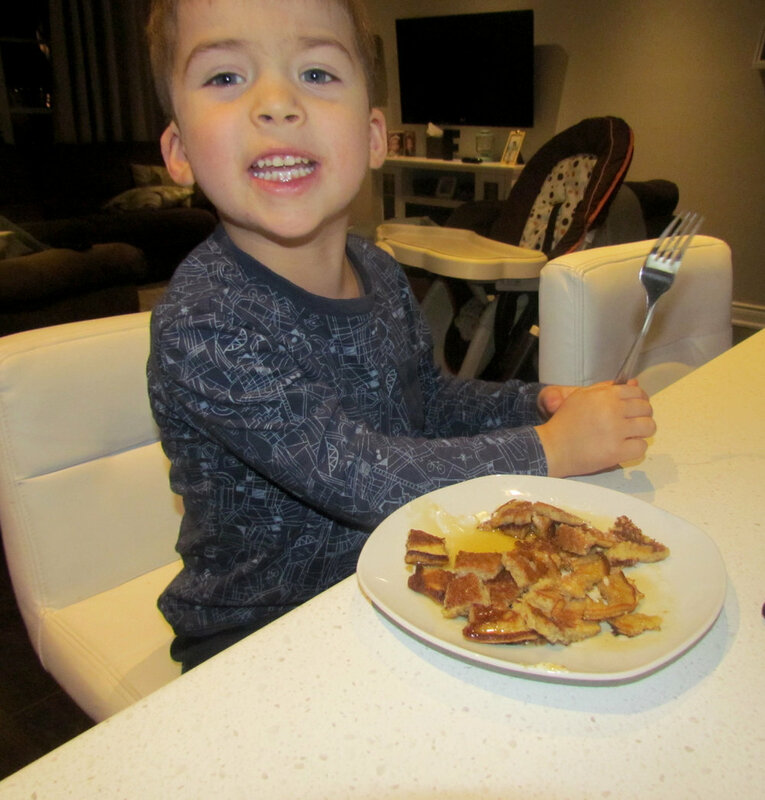 The kid loves pancakes, what can I say? I legit make pancakes in batches every 2-3 days. These ones only lasted a day and a half. MOOOOOOOOOOOORE pancakes. I can deny him if he's hungry, RIGHT? That's child abuse. So what if he ate 8 pancakes in one sitting. They are healthy. My pancake hot-tip for the day: Blend your ingredients in your blender, then pour directly from your blender into the pan. It makes for prettier pancakes and easier clean-up. I'm no food photographer. But trust me, these pancakes looked and tasted delish! This is Fletcher's "cheeeese" face. You'll see it a lot. He can't eat cheese, but he can say it.